It is all about making learning fun and meaningful. Those days are not far behind us when a typical school day involved listening to a lecture, taking extensive notes, reading from the textbook, and completing lots of homework assignments. Today, however, we’re moving into a new paradigm of teaching and learning. Digital classroom is taking the lead in getting us there--quickly--and smoothly. It is a computer based classroom learning solution developed to assist teachers and schools to effectively deliver subject knowledge in an interactive, fun-filled manner in the classroom. At present Nirmal International CBSE School digital classroom solution is tailor-made for CBSE board syllabi. If you are concerned about the performance of your students, their level of interest in the class and the retention capacity, then NICS digital classroom is an ideal solution for your school. It is a comprehensive solution for effective and interactive teaching-learning. Nirmal International CBSE School digital classroom contents are completely mapped to CBSE board syllabi and guidelines. 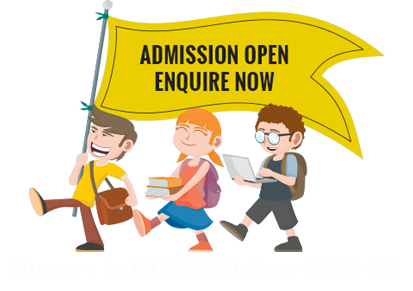 The guideline gives details of classes per topic, time allocated and examination pattern. In addition to English, our content is available in the other regional languages like Marathi & Hindi. The teacher can plan the entire syllabus chapter by chapter. The lesson plan gives complete details like chapter objectives, background, time required to complete the lesson, reference books and articles and much more. You can also modify the lesson plan as per your requirement. Continuous and Comprehensive Evaluation (CCE) - CCE refers to a system of school based assessment that covers all aspects of student’s development. Our software helps the schools to manage the various mandatory requirements with regards to CCE as prescribed by the CBSE.